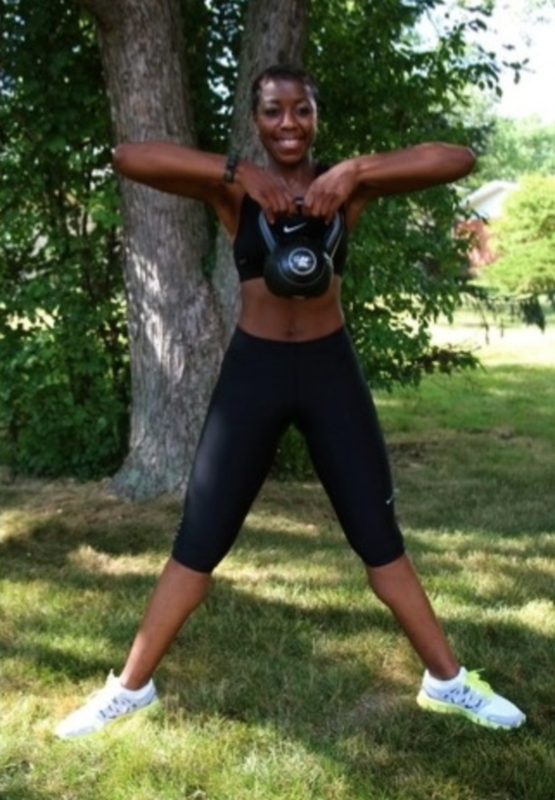 Kettlebells are a unique type of weight training equipment that’s gained considerable popularity in recent years. Whether you’re new to weight training or just looking to spice up your current routine, they are great for building better balance, coordination, muscle definition, and size. 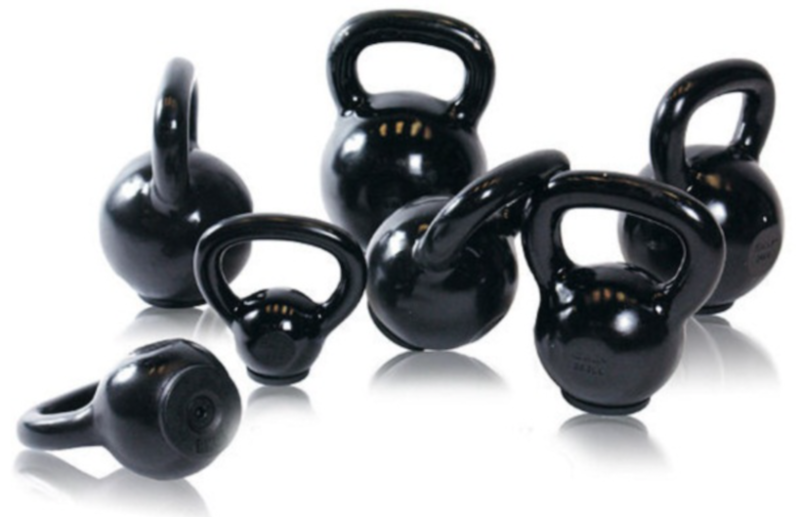 Kettlebells are also very low in cost, versatile, and quite easy to use. 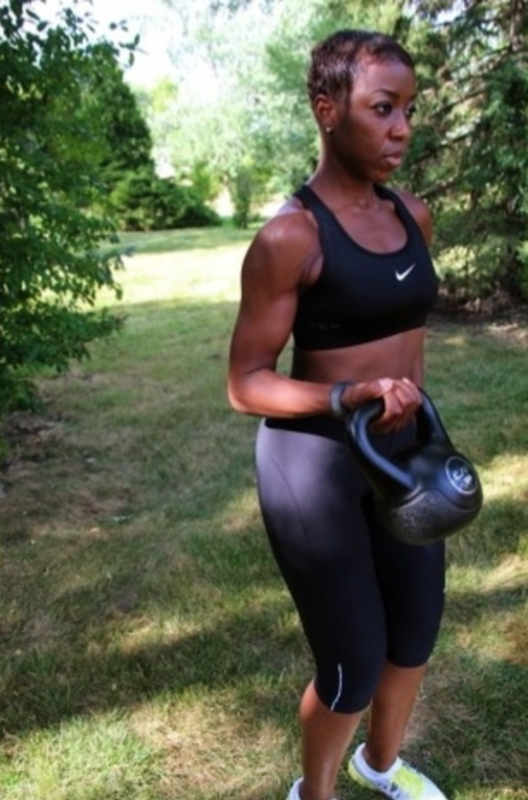 Now, to reap the full benefits of training with kettlebells, you’ll need to incorporate specific exercises that target all the major muscle groups of your upper and lower body at least two days each week. For a good full-body kettlebell workout, here are five exercises you can perform at your gym, at home, or even at work. The sumo deadlift is a great lower-body exercise that places a lot of emphasis on the inner thighs and lower back muscles. Using a kettlebell helps to full engage these muscles for a better core workout. To perform the sumo deadlift, hold your kettlebell with both hands while standing with your feet placed considerably wider than shoulder-width apart and your toes pointed out. With your back slightly arched and your shoulders back, bend your knees until your thighs are almost parallel to the floor. Hold this position for a second, then contract your abdominal muscles and straighten your knees to return to the starting position. The single-arm bent over row is one of the best exercises for working the muscles of your back and it also works the biceps muscles located on the front of the arms. Performing this exercise with a kettlebell can greatly enhance core balance and strength. To perform the single-arm bent over row, hold a kettlebell in your right hand with your arm straight down while positioning your body in a lunge position with your right leg back and your left leg bent in front of you. Once you’re in this position, rest your left arm on your thigh. To carry out the movement, bend your right elbow and pull the kettlebell straight up. Your elbow should end at a position that’s about parallel to your shoulder. Hold that position for a second, then straighten your elbow to return to the starting position. The upright row primarily targets the shoulder and upper back muscles as well as the biceps. You can build significant muscle definition and size by performing this exercise with a kettlebell. Start by holding your kettlebell with both hands while standing with your feet placed shoulder-width apart or even wider. With your back slightly arched and your shoulders back, bend your elbows and pull the kettlebell up until it’s at the level of your chest. Your elbows should end at the level of your shoulders or slightly above. Hold the position for a second, then straighten your elbows to return to the starting position. 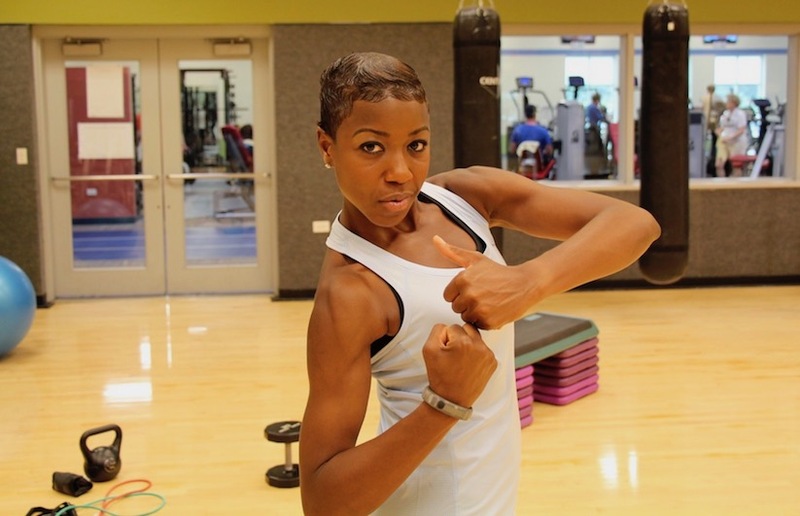 The standing curl is a great exercise for sculpting the biceps muscles and it’s very easy to perform. 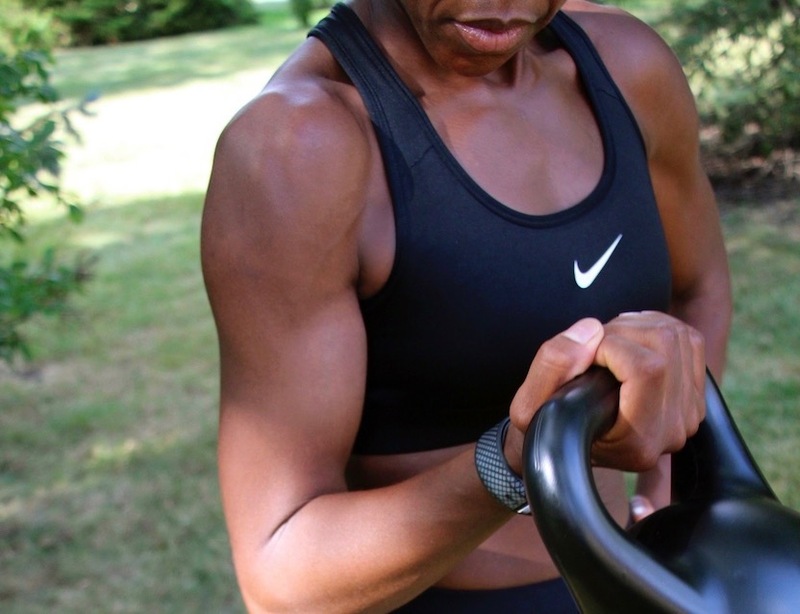 Now, performing this exercise with one kettlebell at a time really puts the biceps to work in a way that enhances muscle definition and size. Simply grasp your kettlebell in one hand with your palm facing forward and then curl your arm bringing your hand towards your shoulder while keeping your elbow close to your waist. Take a brief pause and then return to the starting position. You can really isolate the triceps muscles on the back of your arms by performing kickbacks with a kettlebell. This exercise also helps to sculpt the triceps in a way that rids your arms of that jiggly, wiggly appearance. Start by holding a kettlebell in your right hand and position your body in a lunging position with your right leg back, your left leg bent in front of you, and your left arm resting on your thigh. Next, bend your right arm and position your elbow at the level of your shoulder to a 90-degree angle. To complete the movement, straighten your arm out behind, squeeze the triceps for a second, and then return to the starting position. To cap off your full-body workout, include either standard or modified body weight pushups in the mix in order to incorporate the muscles of the chest. And there you have it! A full-body kettlebell workout you can perform at home or away. 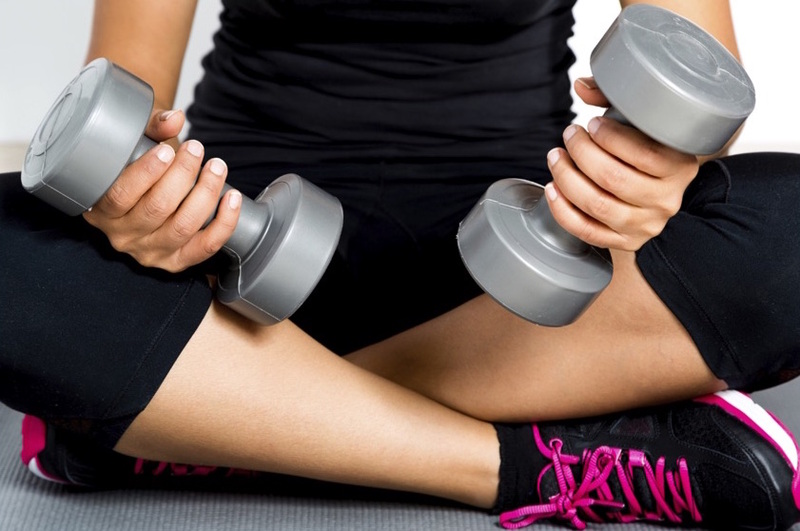 For maximal results, perform 2-3 sets of 12-20 repetitions of each exercise at least 1-2 days per week. In addition, be sure your kettlebells are heavy enough to fatigue your muscles within your allotted repetition range. In other words, if you’re planning to perform 12-15 repetitions, 12 should feel like you aren’t going to make it to 15 but light enough for you to get there.